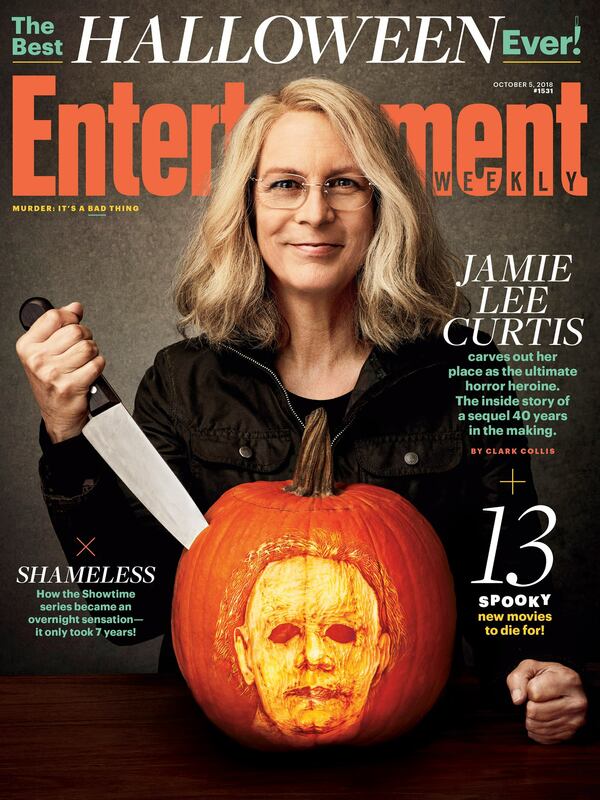 Over the past eight months Entertainment Weekly has stalked Jamie Lee Curtis and the rest of the Halloween crew — though hopefully in a much less threatening manner than Michael Myers tracks Laurie Strode. The result is a story which includes interviews with Curtis and Nick Castle, who once again makes an appearance as Myers in the new film, 40 years after playing the slasher icon in the original movie. For more on Halloween, pick up the new issue of Entertainment Weekly on stands Friday and read more HERE.